Kim Hammond has been frequenting speakeasies again and is here to tell us about it. Speakeasies were secret bars that sprang up when the United States outlawed alcohol in 1919. Most speakeasies were housed in unmarked locations, many required a password to get in and some may have even moved from place to place to stay ahead of the law. Many think the name came from patrons being told to "speakeasy" or to lower their voices so no one suspected they were serving alcohol. Today, there are many modern speakeasies that retain some of these traditions. 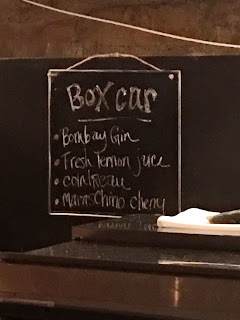 Usually, they feature fresh ingredients in their food and drink, and though the secrecy is no longer needed, many are in discreet locations that lack signage. Some even require passwords. It’s hard to believe this little gem has been open for almost a year, practically in my backyard, and I didn’t know. Paris Room is a bar and small restaurant with, as its name suggests, a French flair. The inside is dark and intimate with a bar that seats about 12-15 people. We didn’t eat here, but stopped for drinks before moving on for reservations at another local restaurant, but I want to come back and sample the menu. It is located in the quaint village of Chagrin Falls Ohio, made somewhat famous by Calvin and Hobbs creator and former resident Bill Watterson. 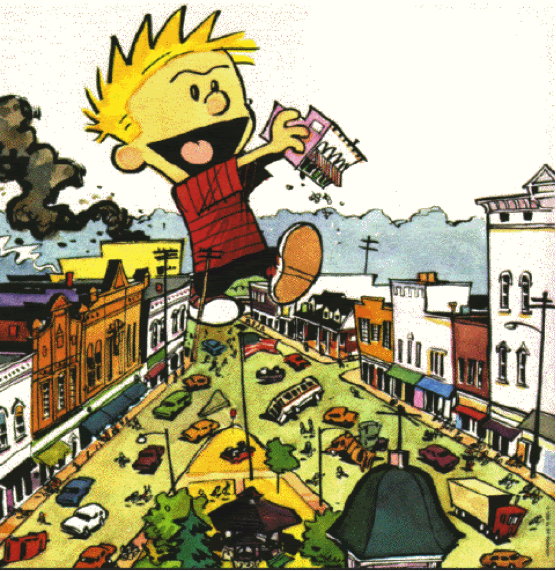 Below is a famous picture of a giant Calvin stomping through a small downtown and this is Chagrin Falls. The Paris Room is located near the bottom left of the picture. 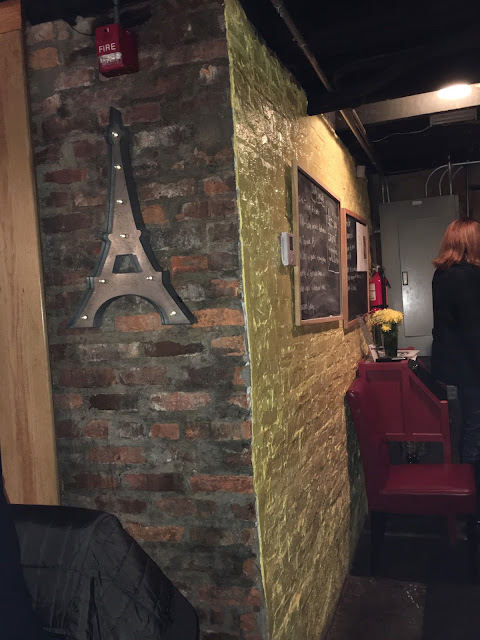 The food items are dubbed “French-inspired comfort food” by the owner, and almost all of the dishes are named after legendary artists, writers and musicians. On select evenings, they feature live music such as jazz and blues. 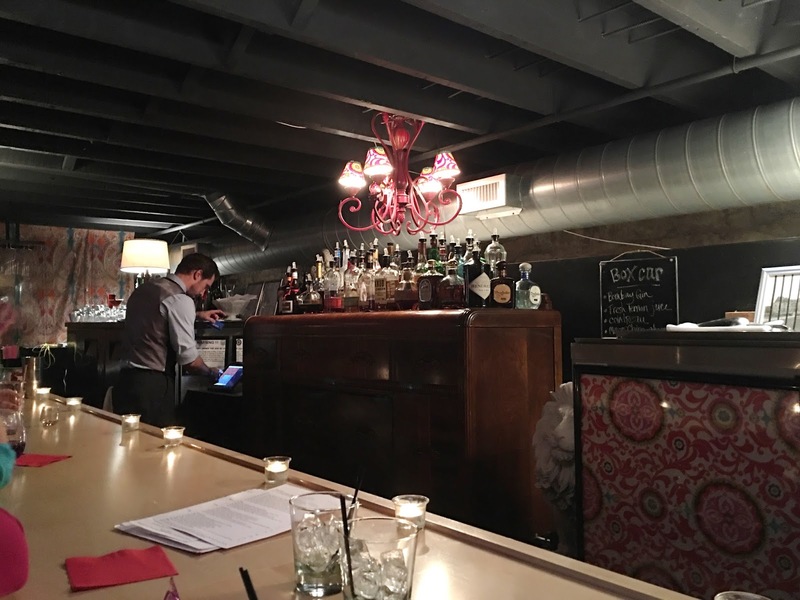 We were able to snag seats at the busy bar where a large vintage dresser sit’s prominently behind the bar and is used for storage. 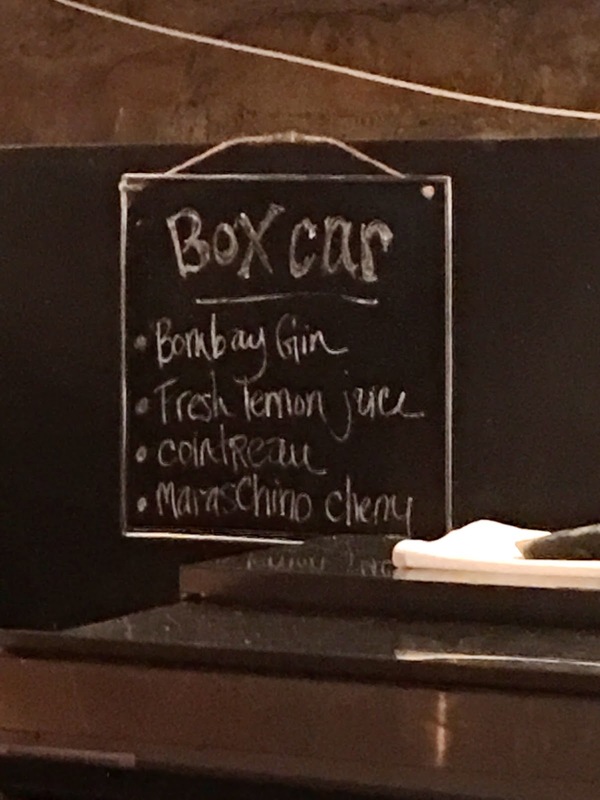 Tonight’s drink special was called Box Car and it was delicious. A combination of Bombay Gin, fresh lemon juice, Contreau and maraschino cherry gave the drink a pretty pink hue and it tasted as good as it looked. 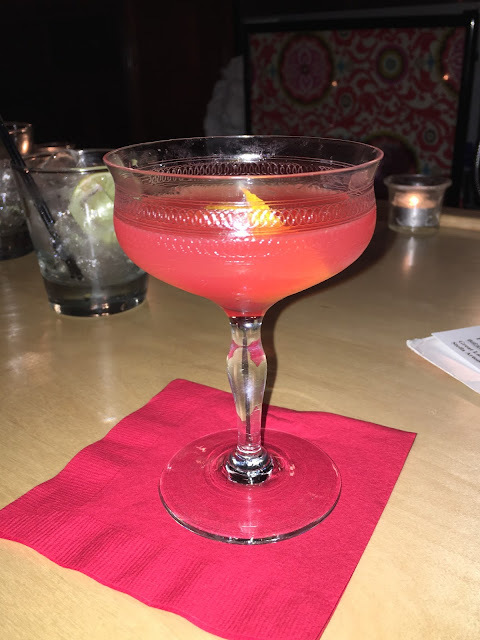 The menu contained many drinks I’ve come to find in Speakeasies across the country, with some twists on the name. Fresh juices, muddled berries, and top shelf liquor are just some of the goodies the Paris Room has to offer. If you happen to be traveling to or through Cleveland, definitely go to the Rock and Roll Hall of Fame, but it’s also worth a trek to Chagrin Falls to check out this place. The Paris Room Bistro is located at 7 N Franklin Street in Chagrin Falls just outside of Cleveland, Ohio. The entrance is around back. You can find them on Facebook here. 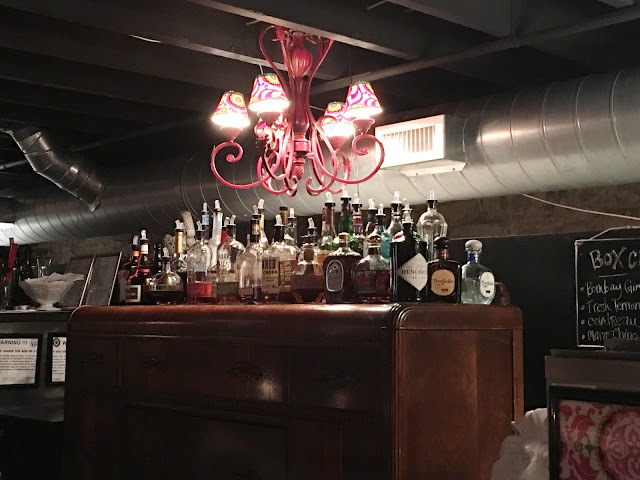 You can read our review of two other speakeasies in the Cleveland: The Velvet Tango Room and Speakeasy.